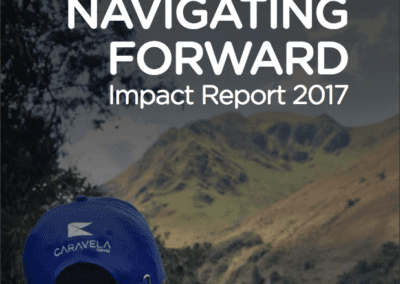 This premier interview is with one of our own, Alejandro Cadena, CEO and Co-Founder of Caravela Coffee. Badi Bradley: Hi Alejandro, thank you for joining me today for this interview. Let’s start with a brief introduction of who you are and what you do. Alejandro Cadena Rodriguez: Hello and good morning. Well, I’ve been in specialty coffee for over 15 years. I am from Bogota, Colombia, where I currently reside. I started my career in finance, in investment banking, living and working in New York and London, traveling to Latin America and working on infrastructure projects, mergers and acquisitions, etc… I was presented with the opportunity to get involved in the coffee industry with Giancarlo Ghiretti, the co-founder of what was then known as Virmax. 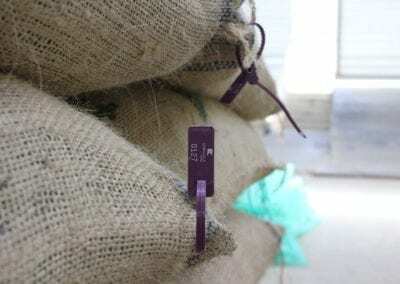 We started by importing fruit from Colombia and that quickly evolved into importing coffee from Colombia. This was back around 2001 when European customers were starting to demand a higher quality specialty coffee and the sources that we had at that time couldn’t provide high quality and traceability. So we took this opportunity to develop a new business model. We returned to Colombia and set up an exporting business. The idea was to work directly with producers, to set up purchasing stations where we would differentiate coffee by quality, pay the farmer for the quality of the coffee they produce and maintain traceability for the entire lot. 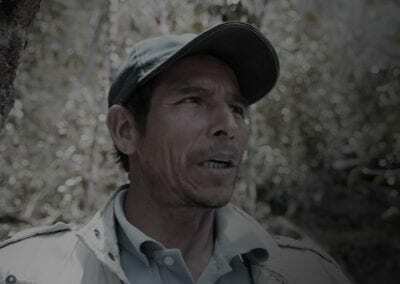 The main objective was to incentivize growers to produce high quality coffee in an industry that at the time paid the same price irrespective of quality, privileging volume over quality. 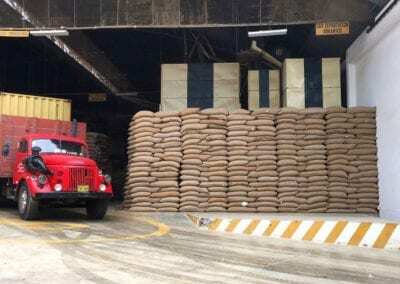 This way of buying coffee was very disruptive in Colombia where “specialty coffee” was basically the better lots that an exporter found after milling. You have to understand that this was fifteen years ago and a new and novel concept at the time. 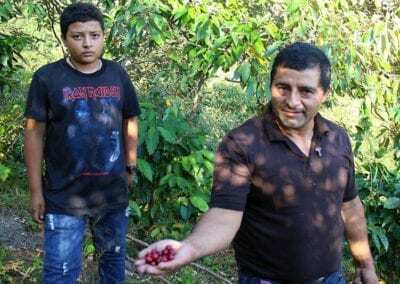 Some people in the industry called us crazy; they argued that buying coffee lot-by-lot in a country with half a million coffee growers was impossible. Through these fifteen years, we have evolved the model. 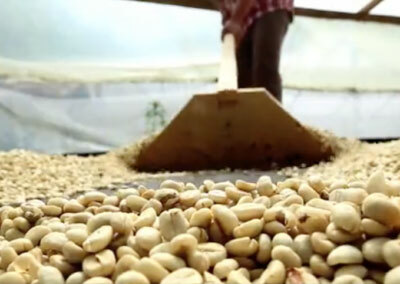 In 2009 we created Caravela Coffee, our first import company in the USA, vertically integrating the sourcing, exporting and importing of green coffee, allowing us to have full control and traceability of the product from farmer to roasters, guaranteeing transparency and the maximization of producer’s incomes. 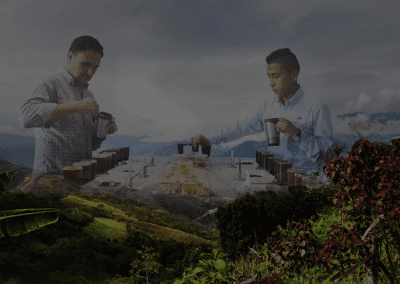 We had been sourcing Ecuadorean coffee since 2007, but in 2011 we branched out into sourcing and exporting coffee from other Latin American origins. Today we source coffee from eight Latin American origins, with our own export operations in 7 of those countries and import operations in Australia, Europe and North America. We now employ over 170 people, based in 10 countries from 14 different nationalities. Ten years ago we were just 18 employees! We’ve grown very fast but despite what some people think, we’re still a small company – just one with a very big impact! BB: Great, thanks for that intro. 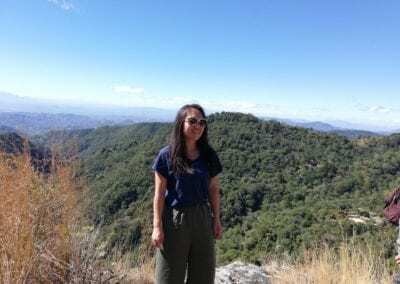 Well, as a leader in specialty coffee, I’ve got a couple of questions that I would like to ask you and hear your opinion on where in the world is specialty coffee. First question: What are the most pressing issues facing specialty coffee today? ACR: Let’s start with labor supply. This is a challenge facing all countries in the developing world, there is a huge crisis in labor supply. Specialty coffee is labor intensive. 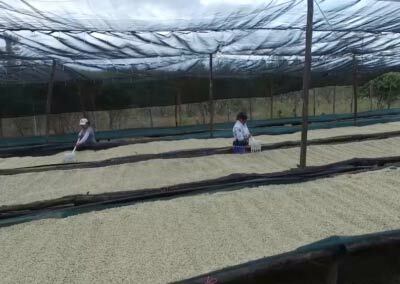 If you want quality coffee, it must be hand-picked and selectively harvested. This is hard work and it isn’t glamorous. As countries where coffee is grown develop economically, this will only become a greater challenge. Next, Climate Change. This is a real threat as the available land to cultivate specialty coffee will decrease as temperatures rise. Diseases like rust and pests like broca become a bigger problem and weather patterns change and become unpredictable, not to mention natural disasters. We will have to turn to technology, new varieties (hopefully equally good or better in cup quality), new ways to teach producers how to manage their crops to deal with these new threats. We will have to educate producers more in terms of prevention than control, become better managers, and that is a big change. Third, Price Volatility. 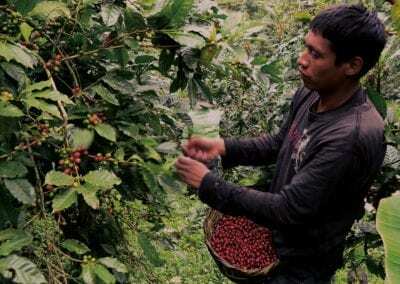 Producers don’t sell all their coffee to the specialty market. Not all of the harvest will meet specialty standards and command a specialty price. 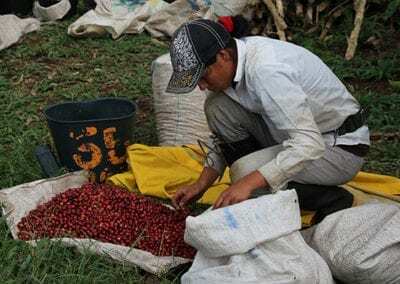 Unfortunately this means that a good portion of their coffee is sold against the “C” market, which is highly volatile and doesn’t reflect most producer’s costs of production. For a lot of coffee producers (and their children) coffee production is not attractive or sustainable for at current market levels. This is something that needs to be addressed by the coffee industry, starting with exporters, and by roasters. 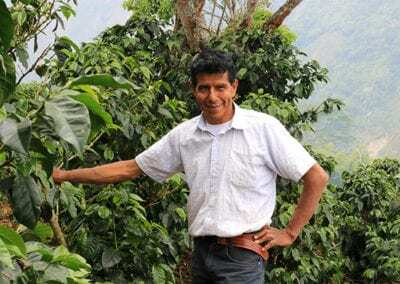 How can you arrive at a sustainable price so that farmers have the incentive to continue producing coffee and continue investing on their farms? We have found a lot of success with fixed price contracts with the best producers that have the highest potential and deliver the best results. 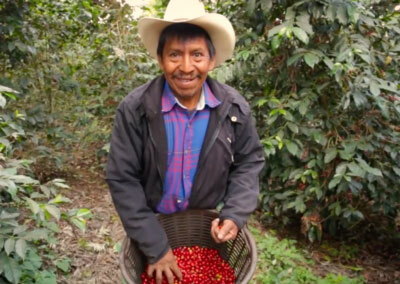 We sign three-years contracts with them to buy as much of their coffee as we can, not just cherry picking the top lots, but buying their lower scoring, blending grade coffees as well, at a lower price. Finally, Generational Change. The majority of coffee producers are old. In 10-20 years they will be VERY old. We need to show the younger generations that coffee can provide them with a good living and it can be a profitable business. 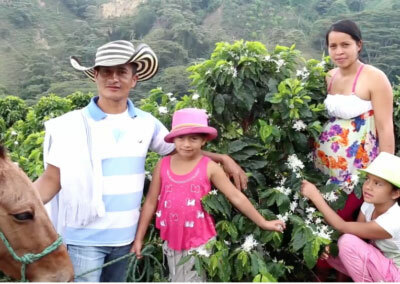 Specialty coffee depends on the livelihood of thousands, if not millions, of passionate coffee growers. Coffee drinkers around the world need to understand this and be willing to reward them with good prices. BB: Each one of these are certainly pressing issues and true challenges and each one deserves to have a much more attention given than this brief interview. Building on these challenges, what do you see as the greatest opportunities for specialty coffee today? 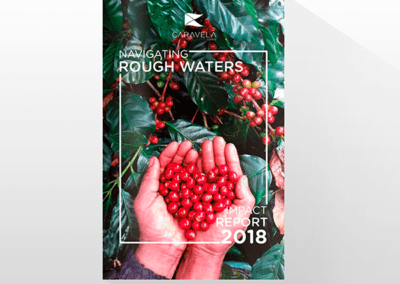 ACR: Specialty coffee has been growing extremely fast over the last twenty years and in my opinion still has many more years ahead of fast growth. 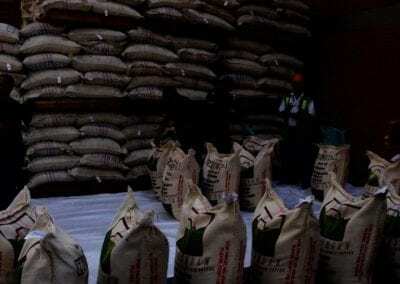 Very soon we are going to start facing supply challenges for high-quality coffee. 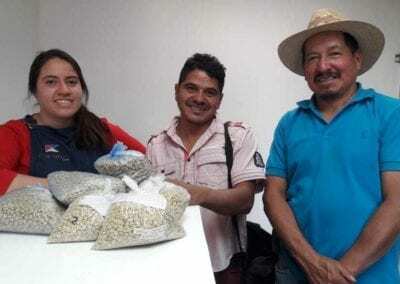 Fortunately there are still opportunities in producing countries that are still in their infancy with regards to specialty coffee, for example, Mexico, Nicaragua, and Peru. These three countries have lots of potential to become specialty coffee powerhouses. They have plenty of good growing areas, traditional varieties, etc. 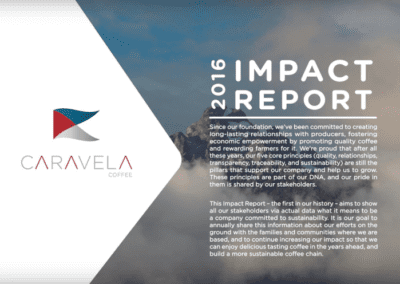 We are investing in our capacity in Peru and Mexico because we see the potential that these origins hold. There also plenty of upside in more traditional producing countries like Colombia and Guatemala, where yields are still low, to increase productivity at the farm level, without sacrificing quality. We will need to invest time, money and resources to educate producers and deliver to them new technology being developed by the likes of WCR. BB: You mentioned “innovation”. In what areas do we need to innovate? 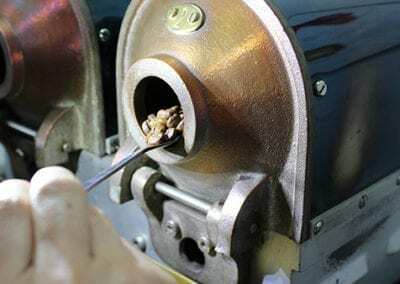 ACR: Over the last decade roasters and baristas have embraced technology at almost every level. The results of these innovations have been amazing! However, farmers, millers, and exporters, not so much, so there’s a great opportunity to improve quality and productivity by embracing technology upstream. 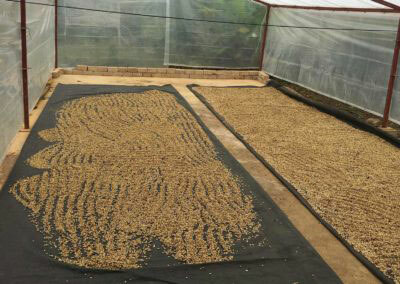 I believe that technology at the farm level will be crucial to the continued growth of the specialty coffee industry. This is why investing in WCR is so important to reduce the gap between the supply side and the demand side. We are starting to use e-learning to educate producers and are developing apps for producers so that they can learn at their own farms. 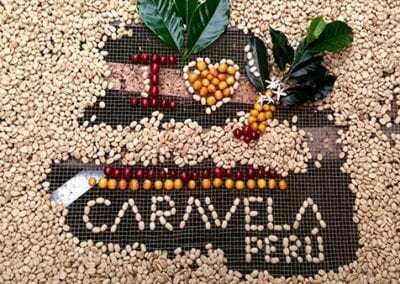 Caravela has invested a lot in traceability and in control processes. Without that investment, we cannot grow. We must continue to invest more in technology to keep up the pace, to be more transparent and to be more efficient. BB: How do you see specialty coffee evolving over the next 1 year, 3 years and 5 years? ACR: I think that over the next three years we will see more consolidation at the roasting level, with bigger coffee companies entering the market through acquisitions and maybe even through startups funded by big investors. Over the next five years I hope to see the first results of WCR’s efforts, which should also lead to more post-competitive research by producers and exporters. We have been experimenting with fermentation for almost a decade and the results have been great! 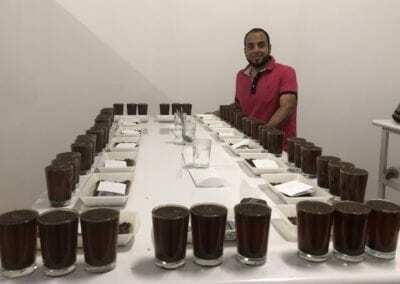 Last year we did a Belgravia Fermentation Experiment cupping with roasters in different cities throughout North America, Europe and Australia. And just by documenting what their preferences were, we have made some changes to the fermentation techniques that we use at our farm, Finca Belgravia in Popayan, Cauca, Colombia. 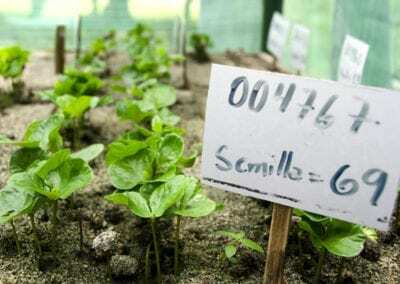 The results have been very positive; we are consistently producing 86+ coffees from the different varieties on our farm, and this is just one very simple example. Blockchain technology will undoubtedly permeate the coffee industry to keep track of the supply chain like in the fishing industry. 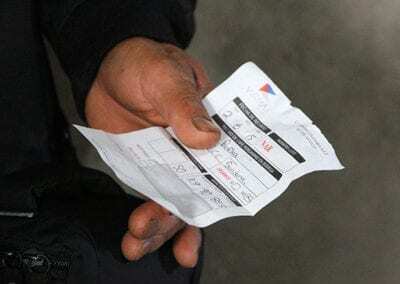 In fishing, they send out information on what the fisherman caught, how much and when it was sold and to whom it was sold. Like what we already do with traceability. BB: So how do you think the “internet of everything” will affect coffee? ACR: I think we will see more online sales. Investment from Amazon will lead to innovation in how we sell coffee. There is the James Hoffman report finding that there will be more online sales, and we will need more information for online sales, and there will be less need for a physical presence. There’s already plenty of startups that are building all-in-one machines that roast, ground and brew coffee in minutes and they even sell you the green coffee. These sort of machines connected to the Internet will be able to order more green coffee when you’re running low. BB: I’m not so sure we will evolve out of the need for coffee shops. But let’s continue to the next question, how has the information age or technology changed buying coffee from producers? ACR: Technology has allowed for better market information for producers. They have access to the information and they know what is happening in the market, the stock exchange, throughout Latin America. The effect is huge in Colombia but this is now happening everywhere. Producers communicate amongst each other, they know what is going on. Parchment buyers cannot control the market anymore. Cell phones have changed everything. At Caravela, we use a propietary cloud based system to collect all the information on every single lot that we cup and that we buy, allowing us to provide our customers with full traceability of every lot they buy from us. 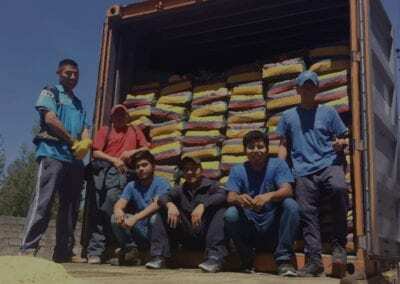 This system also allow us to send text messages to communicate directly with producers, providing them with quality and price information almost in real time, as well as ensuring transparency throughout the supply chain. And we also use text messages for education. Weekly text messages with producers to be aware of threats like broca, what actions to take etc. We are starting to use e-learning to take education to the producer level. We use an app to keep track of all farm visits. We are seeing that producers are using social media, especially Facebook, to communicate amongst themselves as well as with buyers and to showcase their product. Producers are more active participants in the industry and that is a very good trend. They get to see what the market is demanding and they get to see how their product is being sold in the market. Most farmers still don’t have smart phones, but their children will! This is a great opportunity to bridge the generational gap that I mentioned before. WhatsApp is very big in Latin America, instant communication, individually and in groups. BB: That’s a lot to think about. Of course, it makes sense that these technologies that have been around for a while now, that have fundamentally changed how we live and work, will filter down to the farm level, and should fundamentally change how that operates as well. My final question is this, if you could change something about specialty coffee, what would it be? ACR: Myths that people take as truth. Social media is partly responsible for this because people see something that they take as the truth when it is not true. These myths are not good for the industry. For example, a lot of marketing people are using novice baristas to make a splash in social media and consumers are buying the marketing more than the actual product. Good marketing has a disproportionate impact than the reality. And good social media skills sell more than the intrinsic value of the good. We need more science and substance and less showmanship and vanity. The industry needs to invest more in science and hard facts. 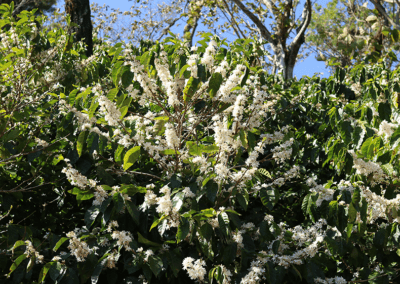 We’ve just recently made a commitment to donate to World Coffee Research (WCR) USD 65,000 a year over the next three years to support their International Multi-location Variety Trial. I hope more companies will join us in investing in supporting science. BB: Ok, Alejandro, arethere any closing remarks you would like to share with our readers? 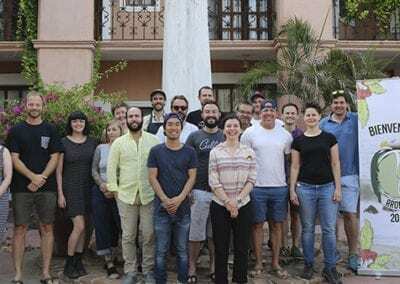 ACR: It’s been great to be part of the specialty coffee community in the last fifteen years, seeing how a “commodity” has turned into a higher value product that can change the lives of thousands, if not millions, of people, from the origin to the communities where roasters and cafes are based. Specialty coffee has evolved very fast in these fifteen years, specially at the roaster/barista level, not so much at the origin level. In the next ten years expect to see a lot more innovation at origin level, pushing the boundaries and allowing farmers to collect an even bigger share of the pie from their product.